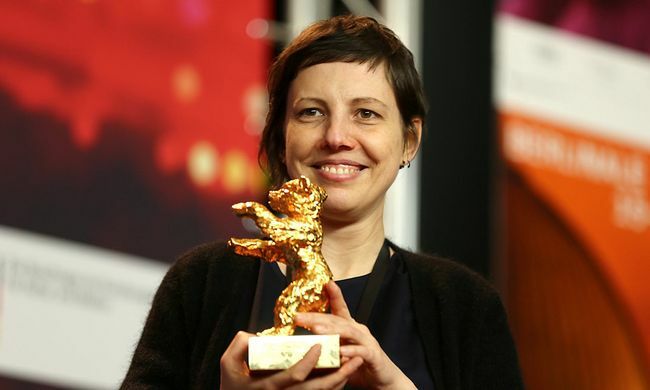 The drama Touch Me Not (Nu Ma Atinge-Ma, Romania – Germany – Czech Republic – Bulgaria – France, 2018) became a real sensation of the last Berlinale, winning there both the Golden Bear for the best feature film and the award for the best debut. This work, done as a peculiar combination of live-action and documentary cinema, tells the story of three heroes – Laura, Tudor, and Christian. The first two are played by well-known actors Laura Benson (Dangerous Liaisons (1988), Ready to Wear (1994)) and Tomas Lemarquis (3 Days to Kill (2014), X Men: Apocalypse (2016), Blade Runner 2049 (2017)). Like many supporting characters, they share the same problem as they strive and at the same time acutely fear intimacy, corporeal and emotional alike. Christian practically plays himself: crippled by spinal muscular atrophy, he is completely free from prejudice and lives with the girl he loves. The film itself is a kind of story about liberation, about overcoming of protective mechanisms and taboos, sometimes in quite unusual ways. In the non-competitive program of the Molodist Festival, which ended in Kyiv on June 3, Touch Me Not was personally presented by the film’s director Adina Pintilie and the leading actress Laura Benson. Adina-Elena Pintilie was born in Bucharest on January 12, 1980. She debuted in 2003 as a documentary filmmaker. Her non-live-action works participated in the competition programs of the festivals in Locarno, Rotterdam, Leipzig, and Warsaw. Pintilie serves as artistic director and curator of the International Experimental Film Festival in Bucharest. Touch Me Not is her first live-action film. After the Kyiv premiere, Pintilie answered questions of The Day’s correspondent. How did it occur to you to make Touch Me Not? “When I was twenty, I thought I knew everything about how relationship should function, intimacy, our desire mechanism, and also what means beauty. But in the past years of life, I realized that actually I don’t know anything. Once clear ideas get destabilized when I enter in contact with real people and with real life. So, we set out on this journey to just question our own preconceived ideas about how intimacy functions, and to discover how people actually can access intimacy in the most unexpected ways. And back in 2013, we started an extensive casting process, which was more like in documentaries, but this film is not a documentary. We try to avoid all these labels, because the film is mainly a research one, it is a process film, a research film. It looks like creating a commune of sorts. Did you have the help of professional psychologists? Can your directorial approach be called anthropological? One of the protagonists is played by an actor with a disability. What was special about working with such an actor? Do you see a difference between documentary and live-action cinema? Now, when there are many different kinds of technologies that let one change one’s body, what do you think, how has the attitude to corporeality changed? In conclusion, a question asked from our Ukrainian perspective this time. It can be said that we here in Ukraine envy you, Romanian filmmakers, greatly, because you have just suddenly, after a prolonged period of communism and troubles, created an incredibly flourishing cinematic school. How have you managed to do it?